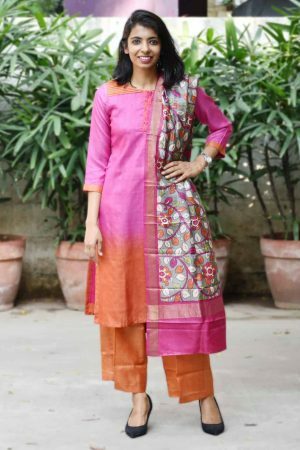 Top : Pink tussar with orange embroidery detailing on the neck and sleeves. Bottom : Orange cullote pant. Dupatta : Grey and pink kalamkari with pink zari border.